Only upright praise is true praise. There is a lot that goes on in the name of praise and worship that has very little to do with true praise. Only upright praise is true praise. There is a lot that goes on in the name of praise and worship that has very little to do with true praise. David said that he would praise with an uprightness of heart. That means praise needs to come from clean lips if it is going to please God. Praise that comes from most of these contemporary church services is little more than a show of the flesh. God is not into seven-eleven songs and cute sayings. We worship in spirit and in truth. Songs need to have some meat to them. They have to tell some kind of solid message. You have to get sin out of your life before you can properly praise God. How many people try and confess their sin before they come to the morning worship service or before they sing in a congregation? You should! God needs clean hearts and upright hearts to praise him. There can be no deviation from the principles of God if we are to have an upright heart. Once your heart is clean, the praise will flow easily from your lips. Keeping a short sin account is the shortest way to a good praise life. You will be more thankful when you have a clean heart. 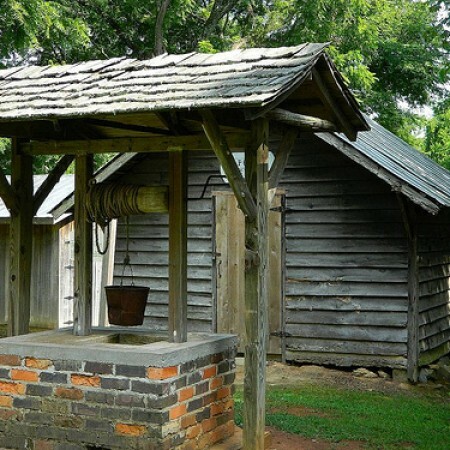 The well will give forth good water once it is cleaned out and the bucket can easily drop in the water and pull it up. You have to learn the judgments of God before you can keep your heart clean. The main way to learn is reading your Bible and good, hard preaching. You show learning primarily through changes in behavior that now line up with God’s judgments. If your Bible reading and preaching is not causing changes in your life on a regular basis, you are not growing. You are not learning God’s righteous judgments. Try to apply the Word of God to your life today as you read it regularly. This post has been seen 3530 times.